For Italian-Americans, the Christmas season is a serious study in food traditions. For years, our family has dedicated Christmas Eve morning to slicing thin flounder filets, frying greasy platefuls of pizza fritte, and piling a bounty of assorted shellfish into a stockpot bubbling with a special, spicy tomato sauce reserved especially for the holiday. 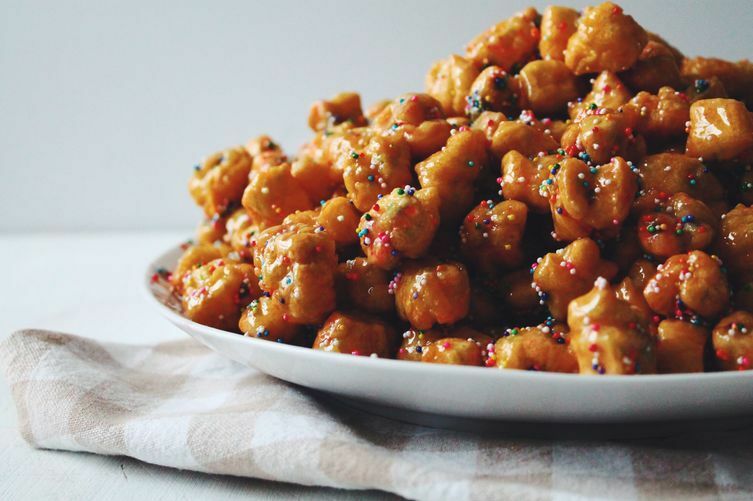 Among our many holiday food traditions is struffoli, a classic cookie common in southern Italy and typically served during the Christmas season. 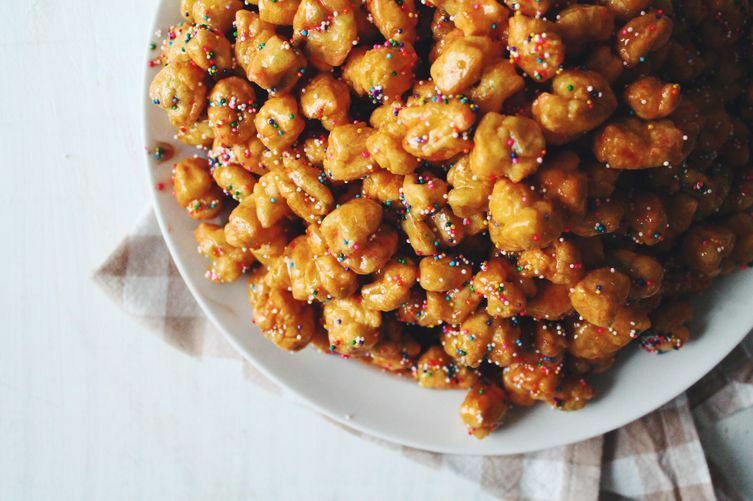 I like to think of struffoli, which are about the size of marbles or hazelnuts, as tiny Christmas fritters. 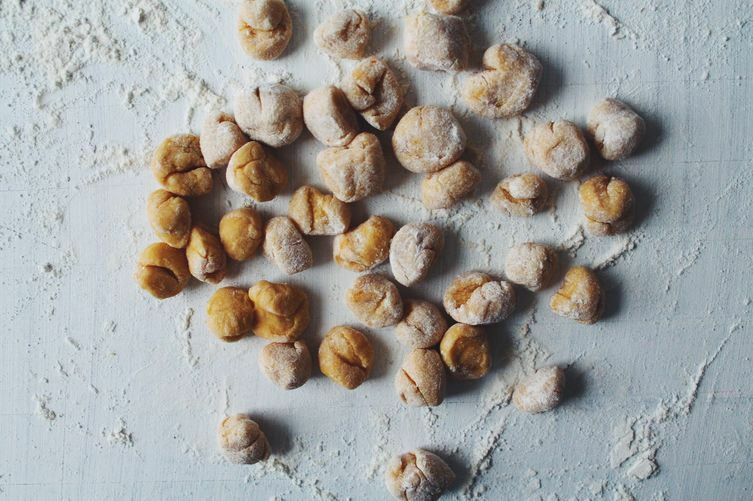 When placed into a saucepan filled with hot oil, the citrusy dough puffs up into rustic golden balls that have crunchy exteriors but warm, soft interiors. 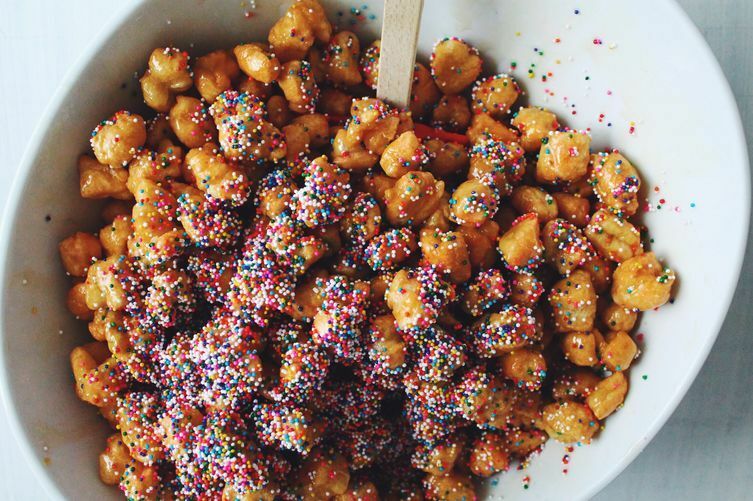 Once fried, the small, bite-sized cookies are drenched in a sweet honey glaze and decorated with colorful sprinkles or nonpareils. 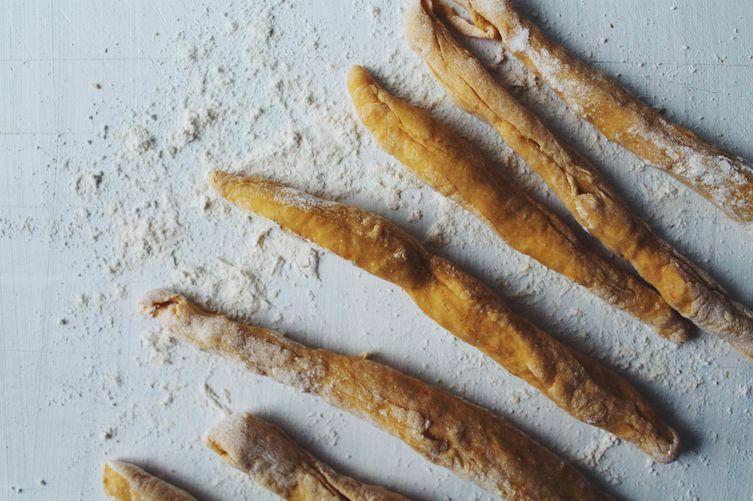 More: Read Michael Ruhlman interview Ann Hood about her own Italian-American food traditions. 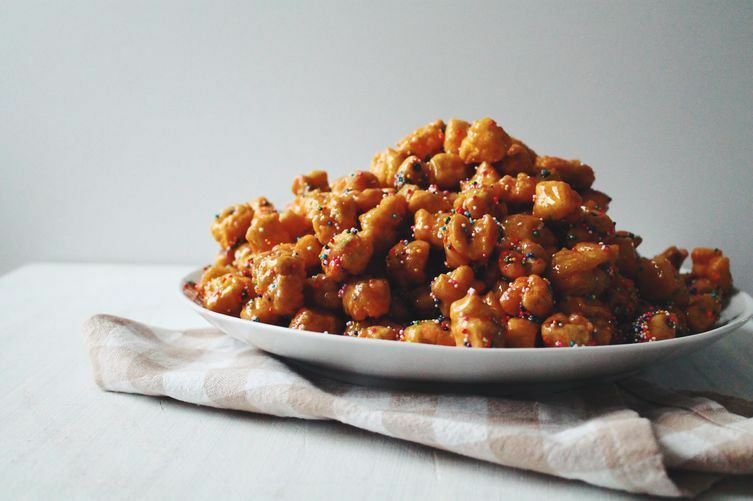 Throughout my childhood, my grandmother often painstakingly assembled her struffoli into a lavish wreath or cone shape, which she unveiled at the end of our holiday meal. I admit that I lack her patience in the presentation department and instead, I often choose to simply pour a fresh batch of my struffoli into the largest serving bowl I can find. Regardless of how you choose to present them, these light, sweet cookies will become a welcome new tradition at your holiday spread. 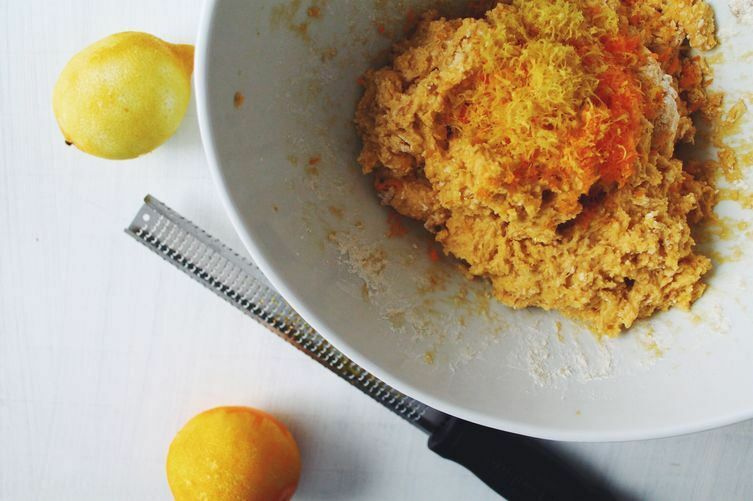 Add the eggs, flour, 1 teaspoon vanilla, salt, and citrus zest to a large bowl. Mix by hand until you've formed a sticky dough, then gather it into a ball. 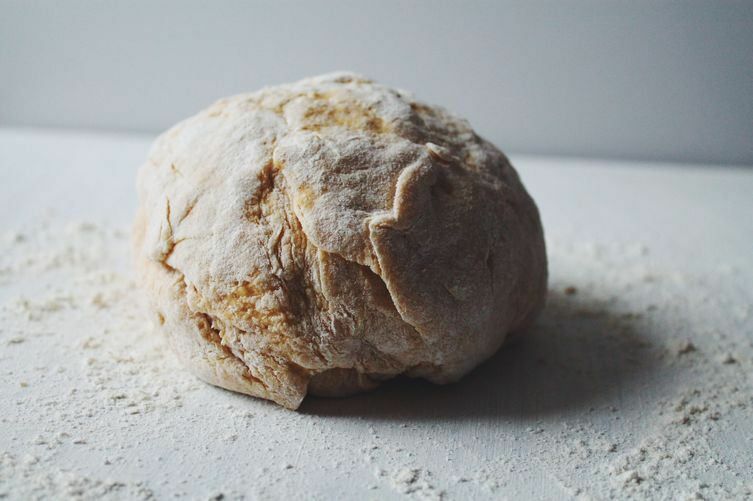 On a lightly floured surface, knead the dough ball for two to three minutes. Cut the dough into six equal-sized pieces. Roll each piece into long, thin ropes, about 1/2-inch thick. 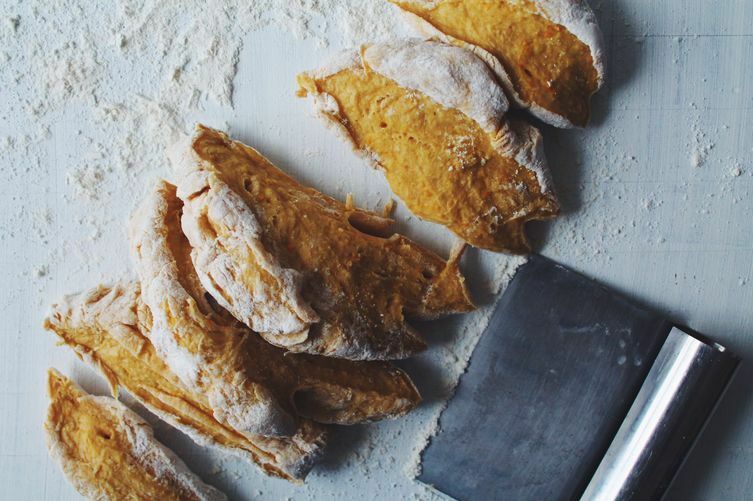 Cut off 1/4- to 1/2-inch portions of each dough rope and roll each piece into a small ball shape. Don’t worry about making them perfect—imperfect shapes work perfectly fine here. Pour enough oil to fill a large, heavy bottom saucepan about one third of the way and heat the oil to 350° F. Meanwhile, prepare a dish lined with paper towels to absorb excess oil. When the oil reaches the desired temperature, carefully drop in the dough balls in small batches and fry until they puff up and become golden brown on all sides. Using a metal spider, carefully remove the fried dough and transfer the struffoli to the paper towel-lined dish. Continue until all of the dough balls are fried. While the dough balls fry, add the honey and the remaining teaspoon of vanilla to a small saucepan set over medium heat. Stir occasionally and remove from heat once the honey reaches a syrup-like consistency, about 5 minutes. Add the still-warm fried dough balls to a large bowl. 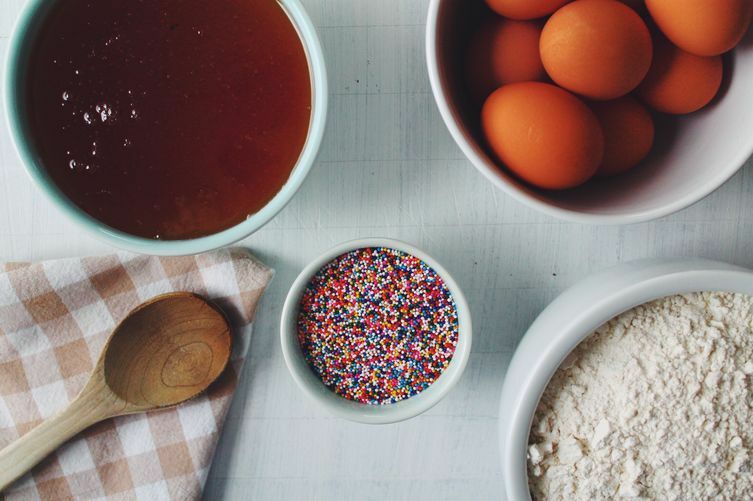 Pour the hot honey glaze and the nonpareils into the bowl and mix until incorporated. 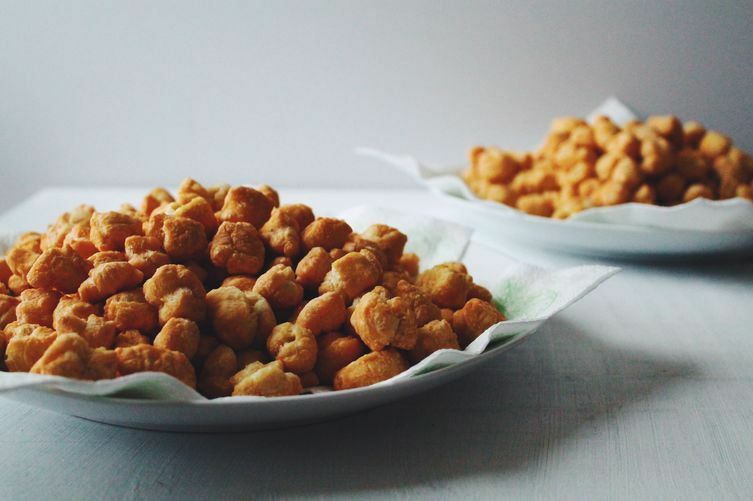 The struffoli can be served immediately, or stored in an airtight container for 2 days. Angela Brown is a food blogger, freelance writer, and co-owner of the NYC sandwich company, Mayhem & Stout. For our family recipe--we use Karo Dark corn syrup instead of honey. Also, I use a large saucepan to heat Karo then add some of the balls to coat. Basically I work in batches. The nonpareils are added after the balls are coated and plated. I like the recipe, it sounds delish. I also like the comment that Nancy made. She rolls out the dough into a thin sheet and cuts it into squares before deep frying to get light and crisp cookie. I will take both Nancy's & Lasciviouslunch's suggestions/comments when I make them. I have made Strufoli pretty similarly my whole life using clover honey. This year I used Turkish honey - and it is a game changer. 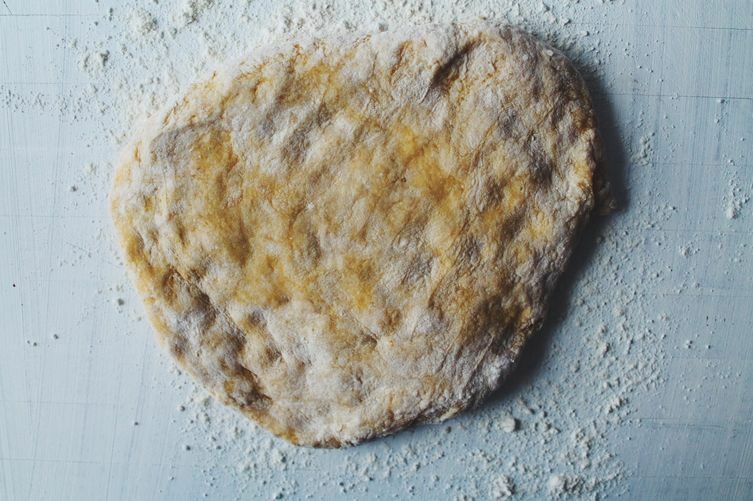 The citrus undertones of that honey call nicely to the zest used in the dough and elevates the flavor considerably. My recipe is even simpler -- eggs flour and salt. I cook honey with sugar and add cinnamon to the mixture before tossing the struffoli (Neapolitan) or pignolata (Sicilian). I would use self rising flour, that's how my nonna taught me. And roll the dough out into a thin sheet, cut it with a ravioli cutter into small squares. The pieces will be light and crispy that way, instead of dense and chewy.